Scratch was born and raised in Stockholm, Sweden and currently resides in New York City. 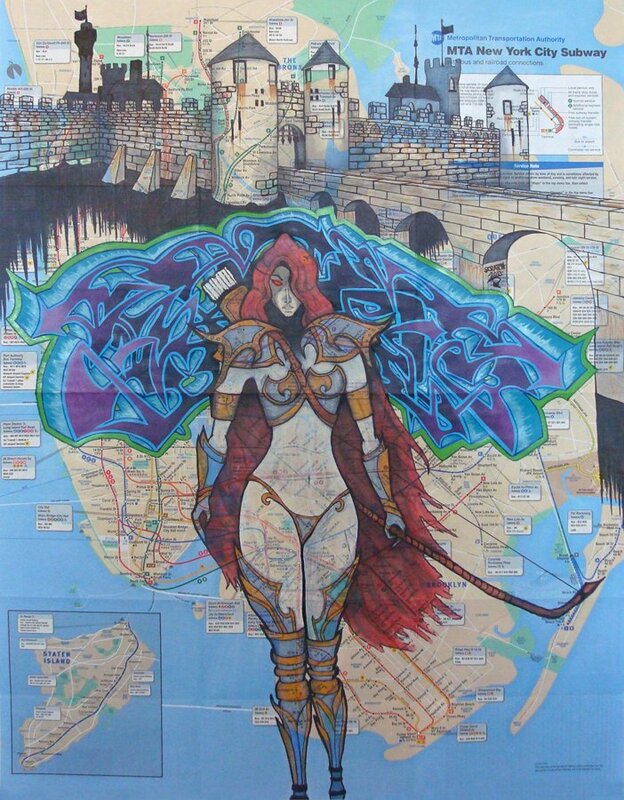 She started painting graffiti in 1989 and was involved with the infamous “graffiti school” in Stockholm. At the age of 17 she exhibited her first solo show at Galleri Idébrunnen. In 1998, she relocated to New York to work as an Art Director/Graphic Designer. Scratch has been featured in publications: New York Times, Marie Claire Magazine Italy, CLOUT Magazine, 12ozProphet and Swedish Newspapers: Dagens Nyheter, Expressen and Aftonbladet and on television in Young Voices Documentary (Sweden) and Graffiti NYC TV. Scratch is the only female graffiti artist ever to become a member of the legendary graffiti crew “The Odd Partners” (TOP). Her work on canvases and maps has been exhibited in USA and Sweden. 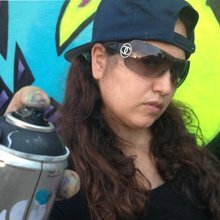 Scratch is the only female to be invited four years in a row from 2011 to 2014 to paint at the NYC Graffiti Hall of Fame. Scratch and her painting partner Lady K Fever founded “The Bronx Graffiti Art Gallery” an outdoor public art space featuring internationally acclaimed graffiti artists. 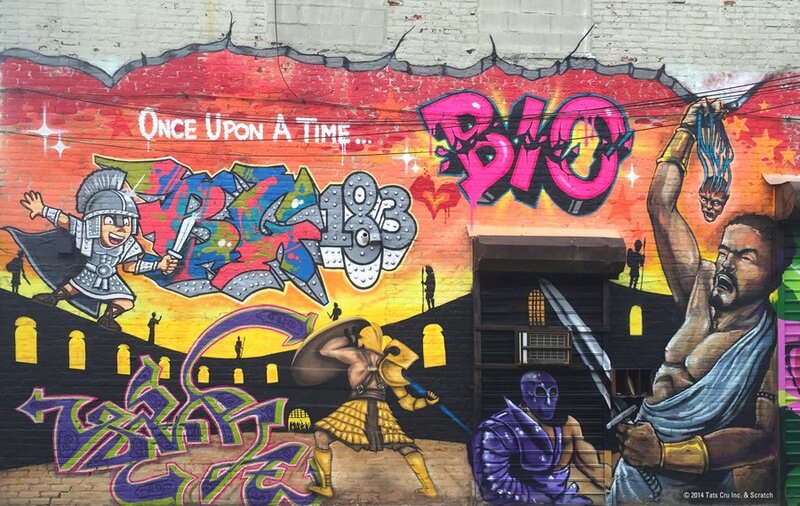 Scratch’s signature fantasy art infused graffiti pieces and characters can be seen on walls all over New York City, she continues challenges herself creating on canvas and walls.